24 Hours after essentially losing it and despairing of the last two games, I’m left wondering what the chances are for the remaining twelve games. Many will think I’m mad but I made a prediction spreadsheet with 17 games to go of the teams that I thought would be in the battle against relegation. Brighton, Burnley, Cardiff, Crystal Palace, Fulham, Huddersfield, Newcastle and Southampton. I looked at every match they had coming up, the current points they already had and made a win/lose/draw prediction to arrive at a predicted points tally come the end of the season. As the results have come in I’ve amended the predicted results with the actual results and the spreadsheet has calculated the gains and losses to take these into account and come up with a revised points estimate assuming that the rest of the predictions hold true. Below is what I originally came up with and how it’s now looking with 12 to go! Obviously it’s very subjective and so much can change but this is how I maintain hope now that we have RH in charge, despite the loss to Cardiff and and two weeks of nothing happening! Anyway hope it brings comfort to some and the rest of you can pour scorn on me if you want to - who knows RH might get more than this out of them? 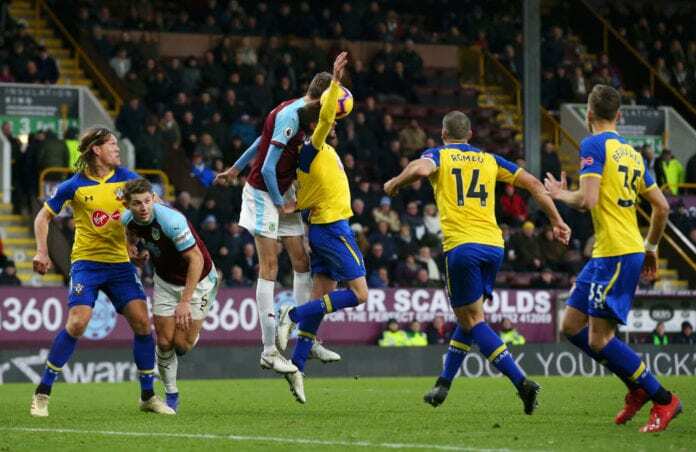 BTW – As soon as Burnley signed Crouch I just knew he would do something to hurt us and as the picture shows, the penalty shouldn’t have been awarded - he's holding Stephens down by grabbing his shirt in the small of his back. Crouch the cheat strikes again! Bugger - all my careful formatting has been screwed - OK imagine neat columns for the 17 to go list and the 12 to go list, along with the Home and Away lists as well ie. Fulham (Home Game) - Win / Aresnal (Away Game) - Lose - you get the picture. Cardiff have already got 25 points from 26 games. Are you really suggesting that they'll only get another 3 points from 12 games??? ?